Before now, UI and UX used to share virtually the same significance but with the introduction of mobile app development there now seems to be a pure distinction between them. It may interest you to know that whenever matters concerning these two entities are brought up, they usually cause the design community to go into quite a stir. 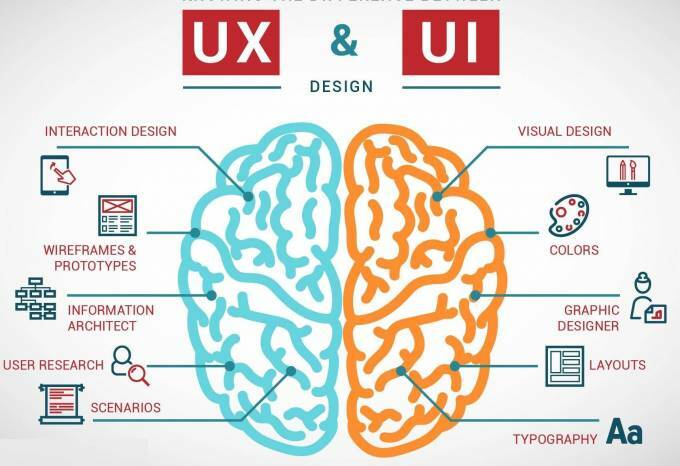 When it comes to stating the differences between UI and UX design, it is important to understand the complications and misconceptions involves. Come to think about it, many top app development companies in Atlanta are paying employees who work at jobs with titles such as “Interaction Designer” just because they typically know how to harness a little of both UI and UX. These so called professionals are not getting paid because they specialize in UI or UX but because they know and act on the differences between the two fields. The principles of UI/UX design apart, there obviously seems to be more differences in the professionals involved than the profession itself. You can’t just discuss UI/UX design without a having a standardized definition of what they represent. User Interface (UI) design is basically concerned with the overall look of the site or an app. It is that part of the product that the user sees when looking at it. User Experience (UI), as its name implies, is concerned with the experience of the user when using the product. Also known as the “broad scope,” it basically has to do with the feeling of the user when looking at the site. Consider a surfboard gliding through water smoothly or a drill going through the wood, that’s what good user experience is all about. Seeing that they work very simply gives the user an unparalleled feeling. A good user interface is the surf wax placed on top of that board to prevent the user from slipping off and it is also that shape the board takes so it can make those seamless turns on the wave. What makes a product have good UX is the entire package itself while the inner-element of that is important to making a good UI. So, think of UI/UX design as saddled horse prepared to be ridden. While the UI can be likened to the reigns, the stirrups, and the saddle, the UX, on its part, is basically the feeling the rider can be able to get.